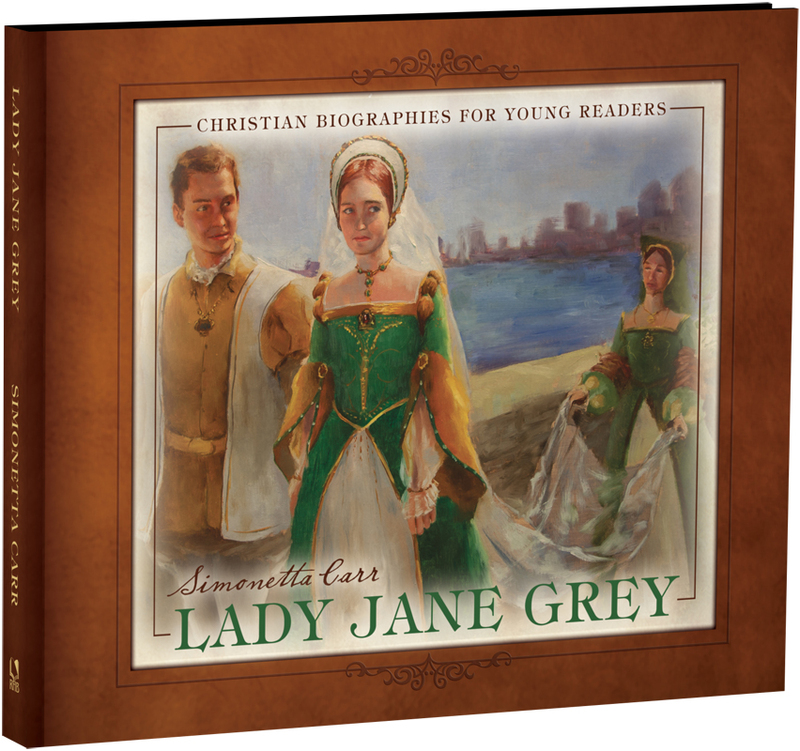 Lady Jane Grey, Simonetta Carr, Grand Rapids: Reformation Heritage Books, 2012. Hardcover, 64 pages, $18.00. Like many of you, my family and ecclesiastical roots are in the Netherlands. As a result, I tend to know a lot about Dutch church history and comparatively little about happenings across the North Sea. Prior to reading this book, I knew nothing about Lady Jane Grey, though I did know something of some of the other characters involved in her life such as Henry VIII and Edward VI. This book, written for children, is an excellent way to expand our church history horizons. Lady Jane Grey briefly took the throne of England after the death of the Protestant boy-king Edward VI in 1553. It was his wish that she would rule instead of his step-sister Mary. Lady Jane Grey was a Protestant too; she loved the gospel and would have strengthened the work of the Reformation in England. However, in his providence God decided otherwise. Mary had the powerful support of key figures and she soon seized the throne from Lady Jane Grey. Mary lived up to her nickname (Bloody Mary) and had Lady Jane Grey and her supporters executed. Strive, then, always to learn how to die. Defy the world, deny the devil, despise the flesh, and delight yourself only in the Lord. Repent of your sins, and yet don’t despair. Be strong in faith, with humility. With St. Paul, desire to die and to be with Christ, with whom, even in death, there is life. Just from those sentences, you can get a sense of what gave Lady Jane Grey hope and comfort in life and death. Realize, too, that Lady Jane Grey only lived to be about 17 years old. This would be a fantastic addition to family libraries. Moreover, elementary teachers will also want to have this book on hand for teaching church history. While doing a unit on the Reformation in England, this could be a good book to read aloud. Reformation Heritage Books promises more books in this series. If they are all of this calibre, please keep them coming! This entry was posted on Monday, July 30th, 2012 at 12:10 pm	and tagged with Lady Jane Grey, Simonetta Carr and posted in Book Reviews, Church History. You can follow any responses to this entry through the RSS 2.0 feed.